Here at the retreat one of the Fathers gave a talk on forgiving. He said a sentence that really struck me. He said, "Forgiveness is a re-imagining of our relationship with Jesus, not just a 'car wash.'"
I love that part of the service. I love the reassurance that all our sins will be washed away, and God will not even see them anymore when he looks at me. 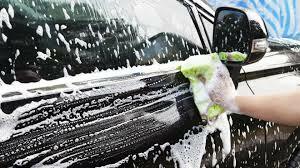 I have to admit, though, I was thinking of it kind of like a "car wash." I was thinking of my heart with sin all over it, and Jesus washed them all away. What does it mean that forgiveness is a new, re-imagined relationship with Jesus? Does it mean when we have a heart full of sin we are kind of estranged from Jesus and his forgiveness makes us more like his friend? Or his sister? Does it mean when we have a heart full of sin we're kind of embarrassed or ashamed to be with Jesus, and then when he forgives us we are comfortable and close to him? Does it mean when we have a heart full of sin, we are tied to things, to stuff, to success, to what we think is important, and when Jesus forgives us we are free to be with him, and happy? Lots to think about. What do you think?